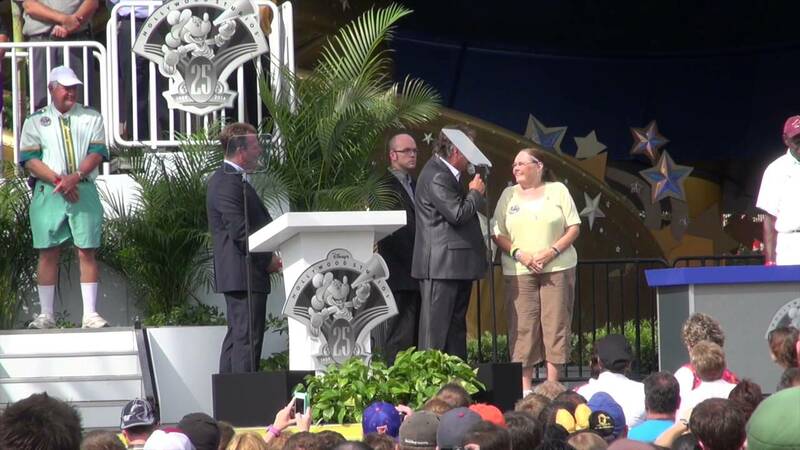 Aug 17, 2015 in "Disney's Hollywood Studios"
It was a huge weekend of announcements for Walt Disney World parks and if you weren't following along as it happened, we've put together a guide to everything you need to know. We'd love to know what you are most excited about, so be sure to vote in our poll at the bottom of the article. 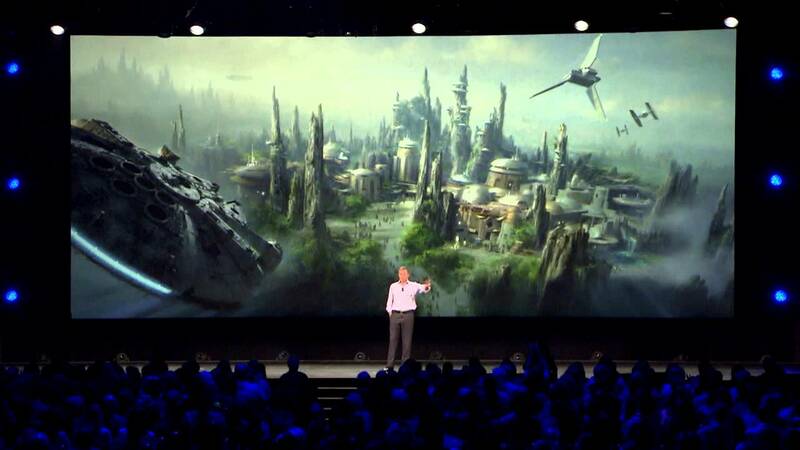 The Walt Disney Company Chairman and CEO Bob Iger announced to an audience of more than 7,500 fans that Star Wars-themed lands will be coming to Disneyland park in Anaheim, and Disney’s Hollywood Studios at Walt Disney World Resort, allowing Star Wars fans to step into the stories from a galaxy far, far away. No timeline for the start of construction or planned opening was announced. The addition of the new Star Wars land won't be quick, so in the meantime, Disney has planned some new Star Wars enhancements at Disney's Hollywood Studios. Later this year, Star Tours will include a new adventure featuring locations and characters from the upcoming film, Star Wars: The Force Awakens, giving guests a new adventure in the Star Wars galaxy. This interactive experience will take guests into the upcoming film, Star Wars: The Force Awakens, with special exhibits and peeks behind-the-scenes, including opportunities to visit with new and favorite Star Wars characters, special merchandise and food offerings. Star Wars Launch Bay will be located in the Animation Courtyard at Disney’s Hollywood Studios and in Tomorrowland at Disneyland park. Also at Disneyland park, Star Wars Launch Bay will share the space with the reimagined Super Hero HQ, featuring opportunities to meet and take photos with super heroes like Captain America and Thor, as well as experience the returning Iron Man Tech Presented by Stark Industries. Both experiences will be available for guests later this year. This new seasonal event, beginning early 2016, brings new experiences to both coasts. In Tomorrowland at Disneyland park, guests will explore the Star Wars galaxy with special entertainment throughout the land, themed food locations and more. Guests also will be thrilled to climb aboard Hyperspace Mountain, a reimagining of the classic Space Mountain attraction, in which guests will join an X-wing Starfighter battle. At Disney’s Hollywood Studios, guests will close out weekend nights with a new fireworks spectacular set to the iconic score of the Star Wars movies. The reimagining of Disney’s Hollywood Studios will take guests to infinity and beyond, allowing them to step into the worlds of their favorite films, starting with Toy Story Land. This new 11-acre land will transport guests into the adventurous outdoors of Andy’s backyard. Guests will think they’ve been shrunk to the size of Woody and Buzz as they are surrounded by oversized toys that Andy has assembled using his vivid imagination. Using toys like building blocks, plastic buckets and shovels, and game board pieces, Andy has designed the perfect setting for this land, which will include two new attractions for any Disney park and one expanded favorite. Like the Star Wars Land announcement, no timeline for start of construction or planned opening was given. All on the back of Slinky Dog, this coaster will zip and zoom, plunge and coast as it takes guests on a fun, toy-filled adventure throughout the new land. The famous little green aliens from the movie will take guests around for a spin in their very own flying saucers. The music, lighting and sound effects add to the flurry of action, while “The Claw” looms over. Guests glide into the Toy Story Midway Games Play Set and take aim at 3D objects in a variety of fast-paced games, with an expansion that adds a third track to this popular attraction. The land is now officially named as Pandora - The World of AVATAR where Disney’s Animal Kingdom guests will journey into the magnificent world of Pandora at this new AVATAR-themed land – a world that includes floating mountains, a bioluminescent forest and the winged creatures known as Banshees, giving guests a transformational experience they will never forget. Also discussed was the boat ride through the Pandora landscape, although it did not receive a name, or indication of it will be opening with the rest of Pandora, or at a later date. Opening dates were not announced, but 2017 is still the expected opening. This E-ticket attraction, the centerpiece of Pandora, allows guests to soar on a Banshee over a vast alien world. The spectacular flying experience will give guests a birds-eye view of the beauty and grandeur of the world of Pandora on an aerial rite of passage. Expected to open next spring, “Rivers of Light” will be an innovative experience unlike anything ever seen in a Disney park, combining live performers, floating lanterns, water screens and swirling animal imagery. “Rivers of Light” will magically come to life on the natural stage of Discovery River, delighting guests and truly capping off a full day of adventures at Disney’s Animal Kingdom. This popular attraction will be extended for a new nighttime adventure next spring, where guests will travel through the African savanna amid the magically extended orange glow of the setting sun and discover two species new to the attraction: African wild dogs and hyenas. Next year, guests at Epcot in Florida and Disney California Adventure in California will journey to far-flung lands and fly above some of the world’s most unique natural landscapes and man-made wonders when the new Soarin’ Around the World makes its U.S. debut. 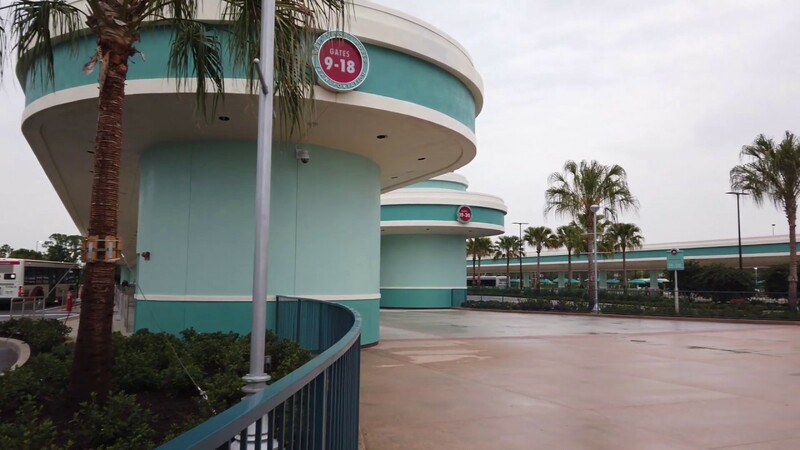 New digital projection and expanded capacity with a third theater will be added at Epcot. Epcot's 'Frozen Ever After' ride is opening in Epcot's World Showcase next year, and Imagineer Kathy Mangum showed off some new concept art giving a look at one of the show scenes. Opening in the space of the former Adventureland Veranda, the Skipper Canteen will allow guests to experience “World Famous Jungle Cuisine” in one of several unique dining rooms – including a crew mess hall and a once-hidden secret meeting room of the famed Society of Explorers and Adventurers. The restaurant will also be staffed by Jungle Cruise Skippers, so expect their own unique brand of humor to be served up with each dish. Both lunch and dinner table service will be inspired by the flavors of Africa, Asia and South America. The restaurant is currently under construction, with an opening in late 2015. So now you know everything that took place this past weekend, we want to hear from you. What do you think to what was announced? Join in the discussion with other fans in our discussion forums, and leave your vote in the poll.